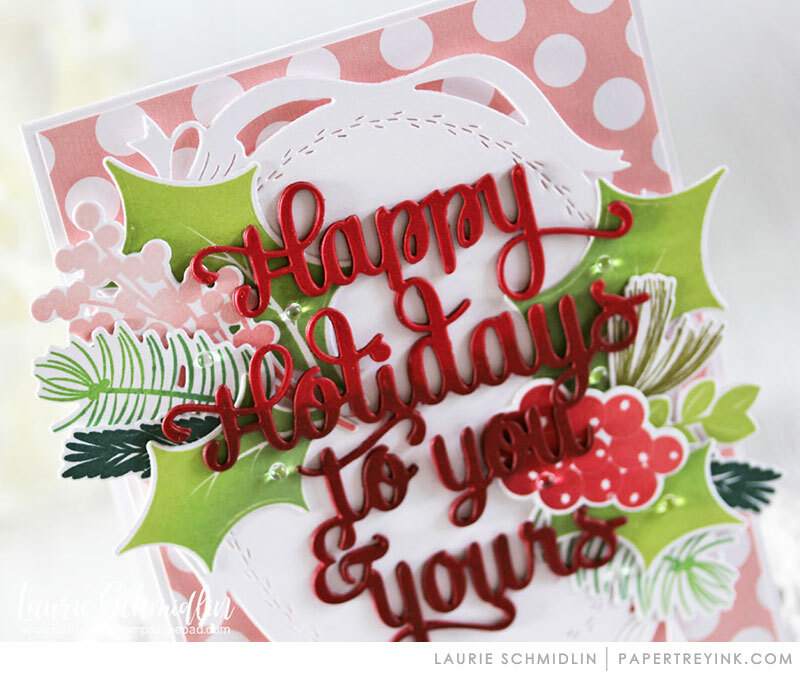 Join Laurie Schmidlin today as she changes things up to showcase the die cut elements on her card design. You will have until 6am ET, Tuesday, November 6th, to add your link to the list to be eligible to win. One randomly selected winner will be chosen from ALL the entries on Tuesday, November 6th, after 6am. The winner will be posted here on this blog post, on Twitter and Facebook. The randomly selected winner will get a $25 PTI gift certificate to spend however they like! 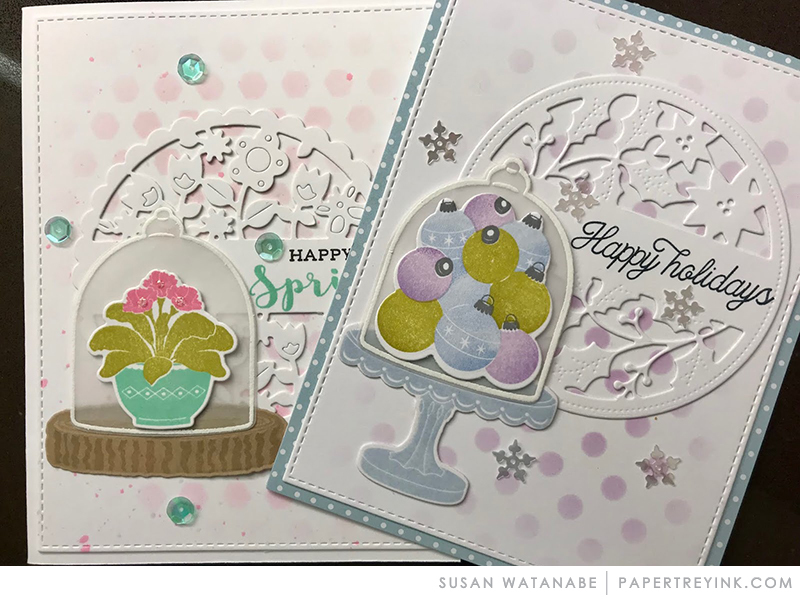 Congratulations, Susan Watanabe! Please send an email to customer service and provide them with your full name and the email address you would like your gift certificate sent to. Thanks so much to everyone for playing along! I agree with you–LOVE the remake! Thanks for the inspiration! Love the transformation. 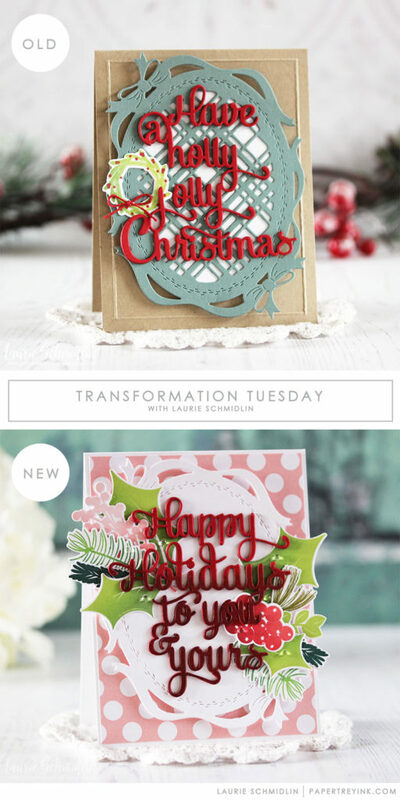 Sentiment doesn’t get lost on the frame and these new colors are so cheerful and bright!